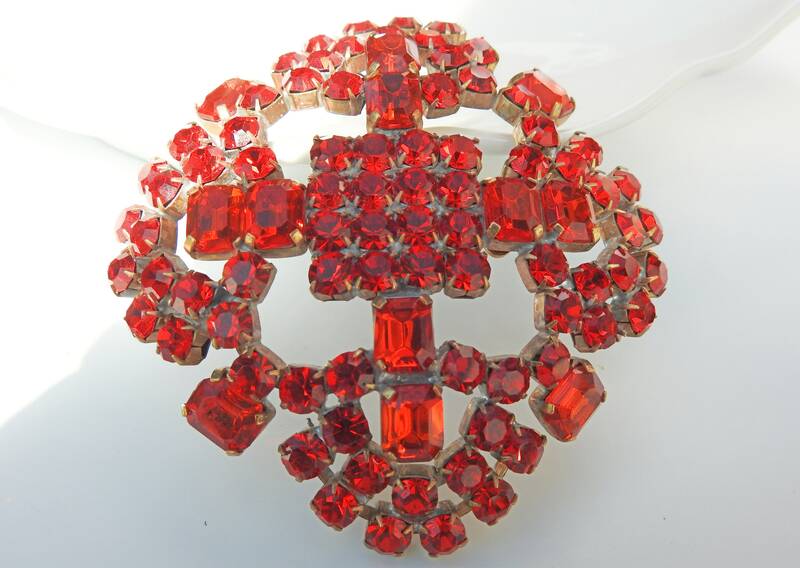 Brighten up your outfit with this large red statement jewelry Czech crystal broach...Looking for a graceful gift idea for classy ladies? 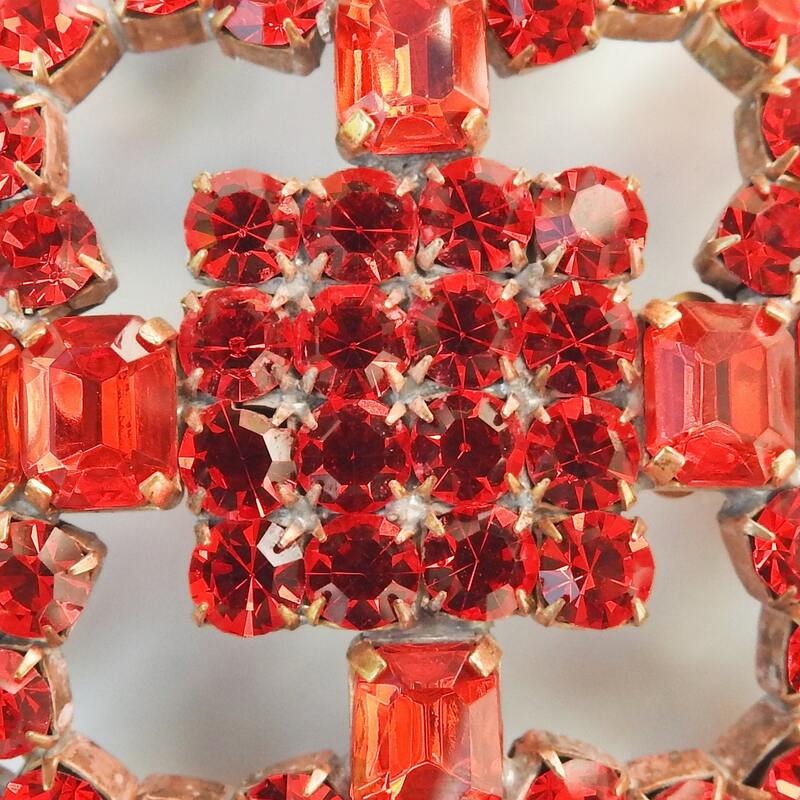 Let yourself be seduced by this unique statement jewelry piece! 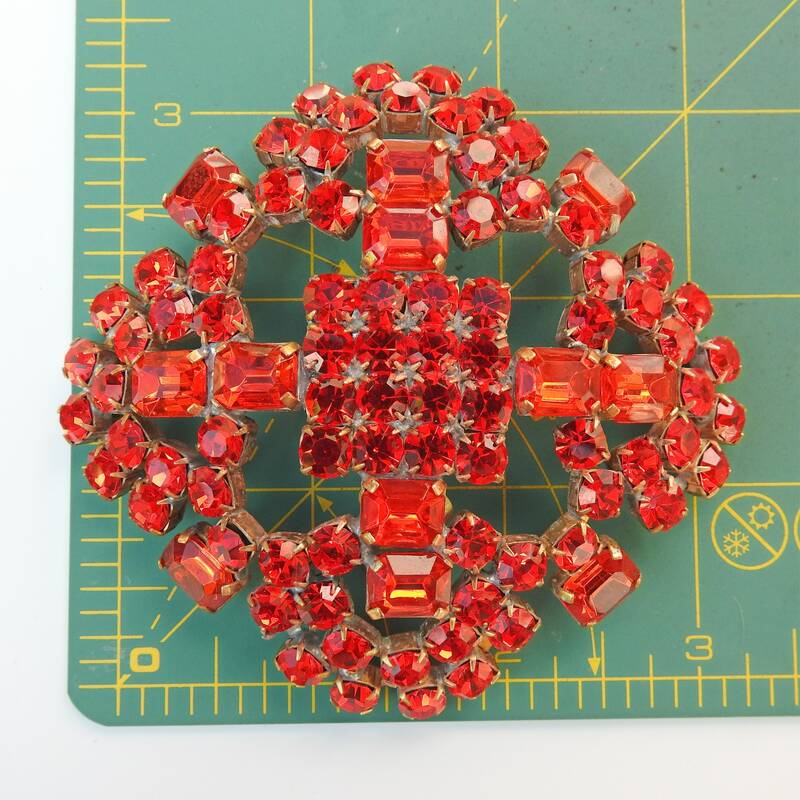 This listing is for one Czech glass broach. 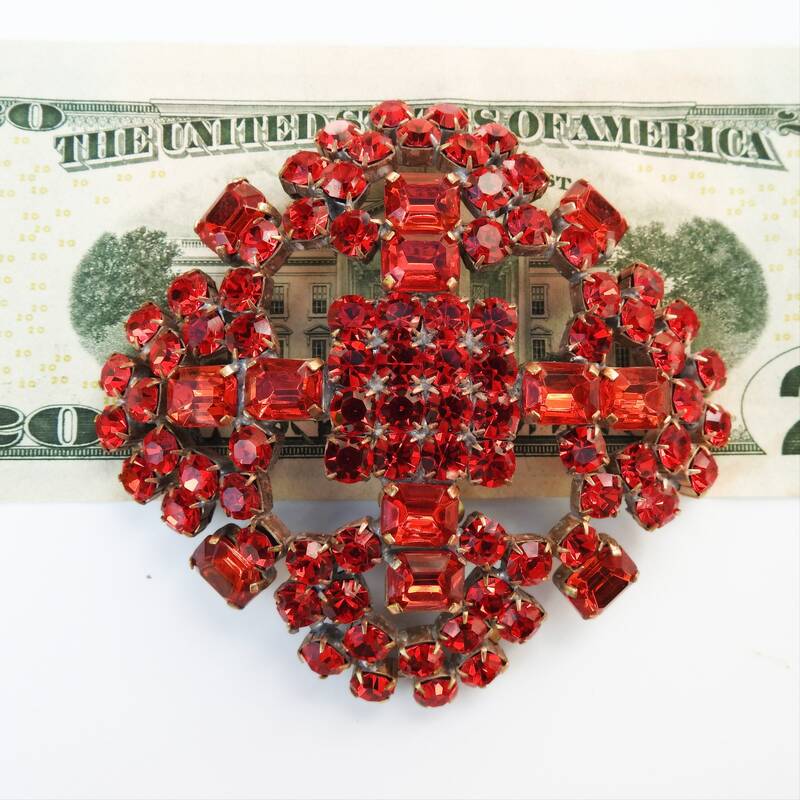 • This brooch is very large, 9x9 cm, it is a real oversized statement brooch. 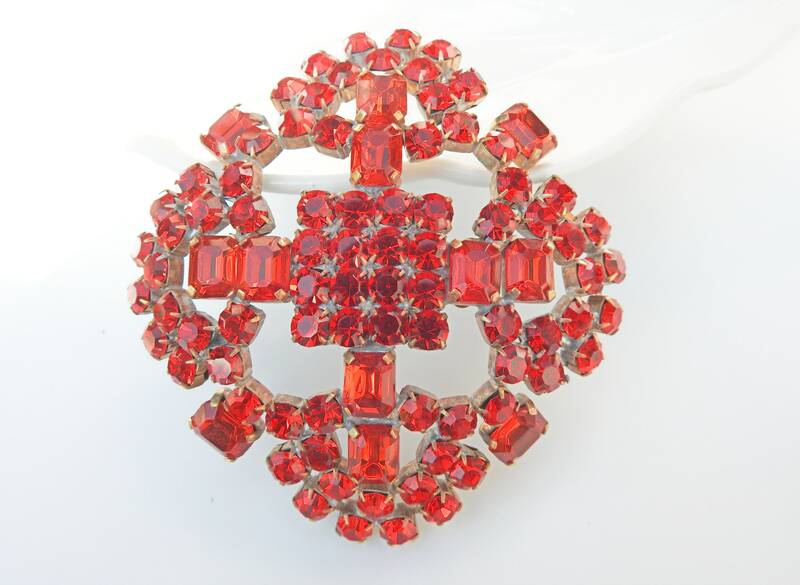 • Made with ruby red crystal. 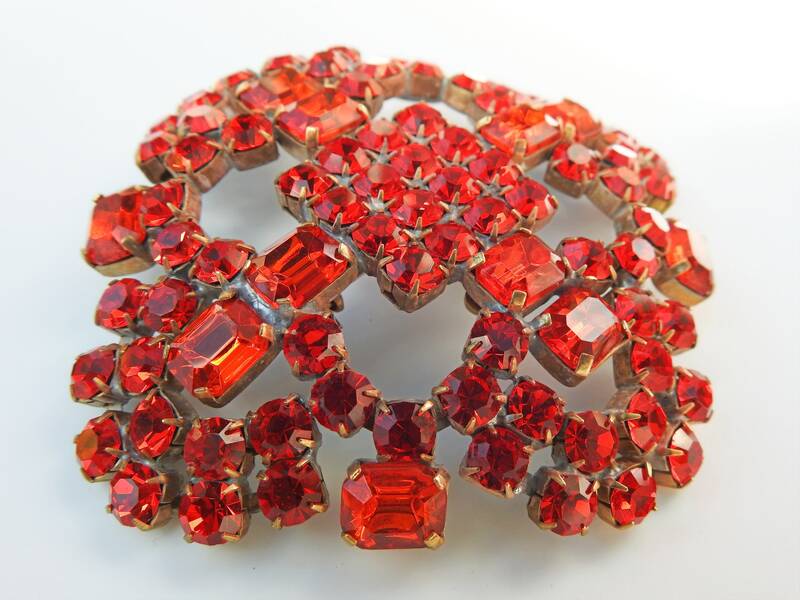 • Brand: Bijoux M.G, era 1950-1960. 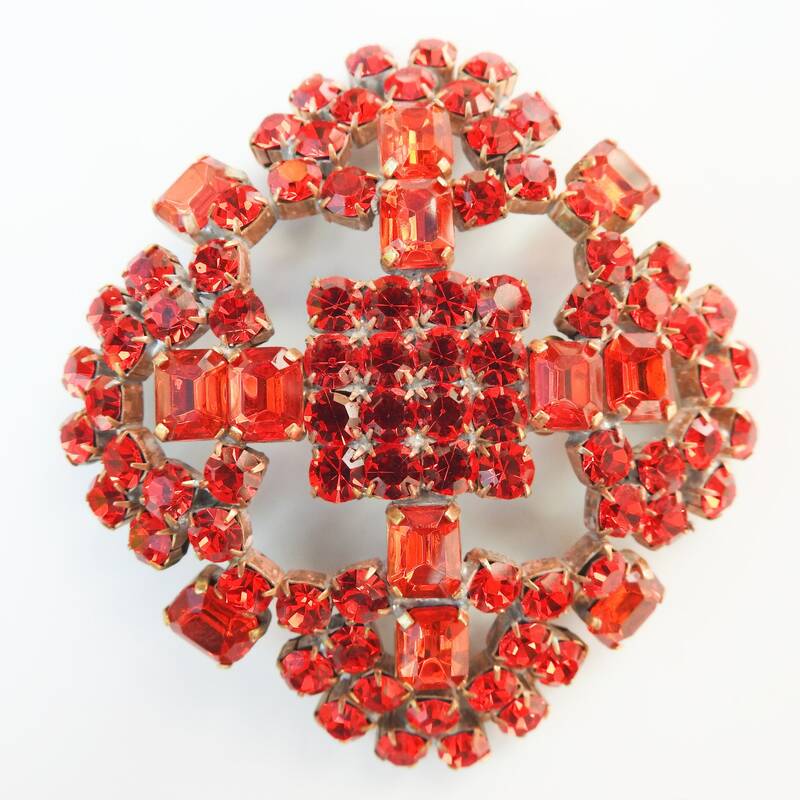 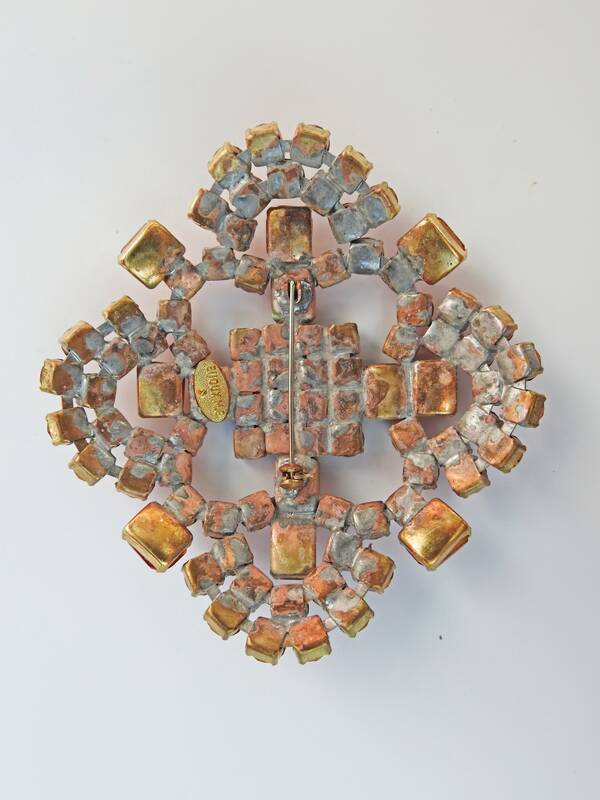 • This large vintage brooch is the perfect statement jewelry on a classy white dress for a BCBG fashion style ...or on a belt or on a bohemian blouse for a unique boho-chic look, Talitha Getty style. 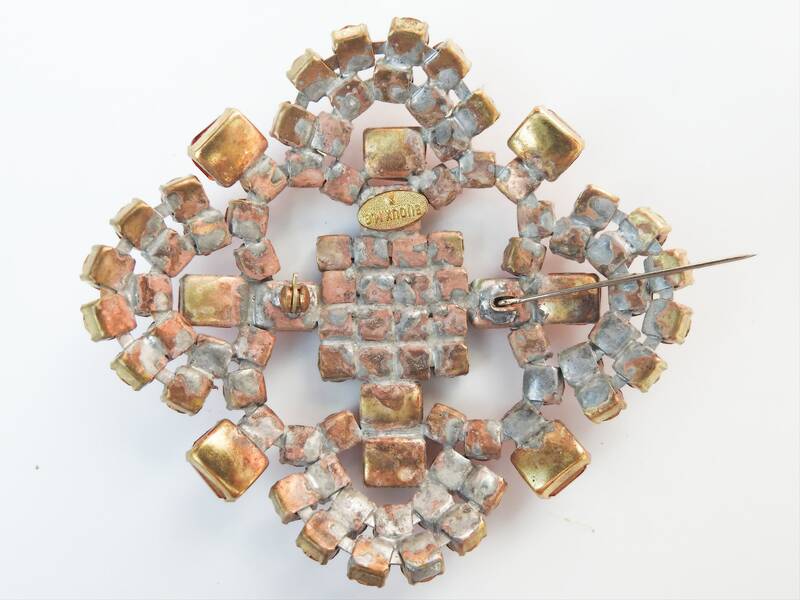 Thank you for exploring this stylish designer jewellery broach.